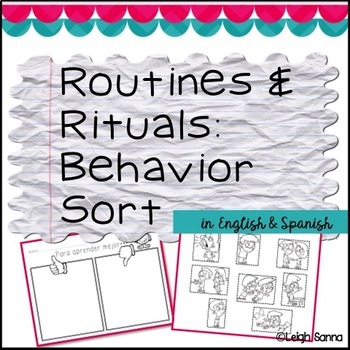 This product includes both an English worksheet and a Spanish worksheet. They are intended to allow children to choose the behaviors that will help them to be good learners in school. 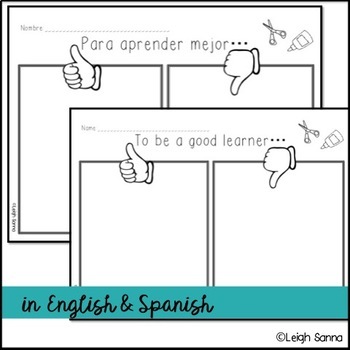 The students will cut the pictures and will glue the "good choices" on the side with the thumbs up. They will glue the "poor choices" on the side with the thumbs down. The finished worksheets are great to hang in the room to help remind students of good classroom choices! The worksheet is intended for the beginning of the year, or as a refresher for school rules and acceptable behavior. I find it useful especially after a long break such as Christmas, winter break, or spring break.